Located in a very quiet spot, in the Forest of the Double area, sitting alongside its own PRIVATE LAKE with no near neighbours. About 15 mins south of a popular market town with all amenities, schools etc. 45mins north of Bergerac airport. A 3-4 bed. house, built in 1973, restored since, and now presented in very good order throughout. Living space of 107sq.m. on 2 floors. Many windows with lakeside views. Lovely outdoor terrace with lakeside views. 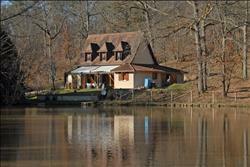 All set in 4 acres with private lake (stocked with carp, perch etc.) Fish to your heart's content here. Photos – currently showing winter, but imagine it in summer! Fresh fish off the barbecue anyone? Peace and tranquillity all around. Perfect for nature lovers and fishermen/women. A few kilometres from a popular market town with all amenities, schools etc. 45mins north of Bergerac airport. About 75mins NE of Bordeaux airport. 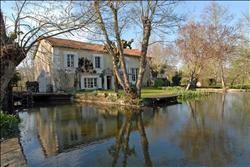 and outbuildings on a set of 6 islands on the river Dronne. Set in land of 5 831m² (about 1.25 acres) with most of the islands connected by bridges. Millhouse living area extends to 130m² on 2 floors, with 4 bedrooms. In a very quiet spot near the Foret de la Double (forest area) about 10 minutes from a popular market town (largest market in the Dordogne), with all other amenities, supermarkets, shops, restaurants, schools, doctors, dentists etc. This is a most rare combination of "maison bourgeoise" (usually found in a town) set in a rural area, and with a LARGE LAKE! The character house offers 151m² of living area, presented in impeccable condition. There's also a detached stone barn (further development?) plus an open-sided barn, forming a courtyard. making this a RARE find. Now at an even more attractive price. on the edge of picturesque village, near Brantome. There is a stone balustraded balcony, courtyard, central heating and swimming pool. Plus many period features, old beams, old floor boards, fireplaces etc. plus 5 bath/shower rooms and 6 WCs. Set in about 2.4 acres of parkland with mature trees, 14m x 6m swimming pool and plenty of privacy. plus a 6 x 14m swimming pool surrounded by wide stone slabbed terraces. PRICE - 890,000Euros (inc. agency fees). 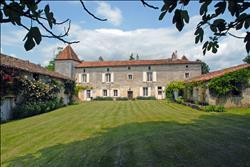 A rare and authentic 16th c. CHATEAU with several towers.......step back in time. On the edge of a village, about 15kms north of Ribérac. Fully restored and modernised, yet retaining many period features including ORIGINAL SPIRAL STAIRCASES, old beams and several old stone fireplaces. 5 bedrooms, 5 bath/shower rooms. Plus attic area. The chateau is edged with a square tower and an octagonal tower with STONE SPIRAL STAIRCASES. and a KEEP which houses a INDEPENDENT APARTMENT. A small OUTBUILDING housing the boiler room adjoins the main buildings. On the other side of the COURTYARD is a huge DETACHED STONE BARN, 15m x 27m, with open sided area of 6.8m x 7.9m. 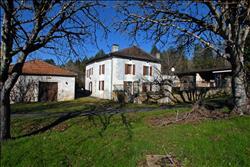 Land area 17 625m² (about 4.3 acres) with a small pond and plenty of walnut trees. 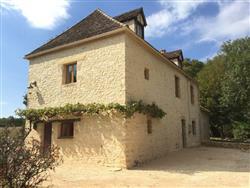 Located in a peaceful, green corner of the northern Dordogne, about 20 mins north of a popular market town. About 5 mins to a small town with basic shops & weekly market. About 40mins south of the cathedral city of Angouleme. 90mins NE of Bordeaux (airport). a GUEST HOUSE (140sq.m.) and several other small OUTBUILDINGS, all set around an attractive flower filled courtyard, with automatic watering system. and SWIMMING POOL of 11m x 5m. The manor house is flanked by 2 square towers and offers 250m2 of living space. "a truly charming property" says our local partner agency " and a must see"
located in a small friendly hamlet in the French countryside, with views towards the Gironde estuary, and just 5 mins from amenities. Easy access to Atlantic beaches about 45mins drive. Located about 5 minutes drive from a small town with supermarkets, restaurants, bars, pharmacy, doctors and dentists. About 25 mins west of the larger town of Jonzac, offering lots of shopping, market and Les Antilles water park, which is ideal for families. There are lots of small ports along the nearby coast with a great selection of seafood restaurants. Sandy beaches at the seaside resorts of St. George de Didonne and larger Royan, about 45mins drive, with natural pine forests, and great cycle paths a little further up the coast. and Calais about 6.5 hrs drive. 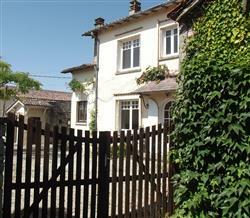 comprising MAIN HOUSE (3 bedrooms) + 3 well equipped GITES (with 1, 2 and 4 bedrooms) sleeping 16-17 people in total. House & gites all have English free view TV, broadband and WiFi. 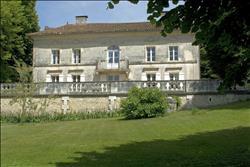 Gites to be sold furnished and equipped for rentals to continue uninterrupted. Large, mature enclosed GARDENS of 2670sq.m. with saltwater HEATED SWIMMING POOL (10m X 5m) surrounded by paved sitting areas and hedging, with lockable gate from the garden. There are lawned areas and a selection of fruit trees and nut trees - wonderful to pick your own! A great opportunity to step straight into a new French lifestyle with rental income stream already in place. And within easy access of Atlantic beaches and the coast - always appealing to holidaymakers! Located in a hilltop village surrounded by open countryside, 4 km from a small town with bakery, butcher, greengrocer, post office, bank, cash point, pharmacy, dentist, primary school. Plus 2 bars and a restaurant. 10-15mins drive to larger towns Aulnay (16 kms) or Matha (17 kms) with weekly markets, supermarkets, plenty of cafes, bars, restaurants, usual shops and amenities. Plenty of interesting walks, cycling on the quiet roads, or fishing in the local area. 25mins west to St Jean d’Angély, a large thriving town with supermarkets, shops, all amenities, plus secondary school. 30mins drive to world-renowned historic Cognac, with the major producers open for public tours, plus the river Charente. 50mins drive west to coastal resort of Fouras with sandy BEACHES. Also ferry to Ile d'Aix. A beautifully restored, well presented property with gardens to three sides, including covered terrace and bbq. MAIN HOUSE (4 beds.) + 2nd HOUSE (3 beds) for renting out, or extension of family home etc. Layout - the 2 houses are separate from each other, on one plot of land, which is divided by a walled up archway, providing total privacy from each other. Each house has its own private entrance, own garden, own terraces etc. Each house has some outbuilding(s) offering development potential if required. Main house also has a garage. A flexible property for entire private use or for rental income if required, in a great location! Please quote this ref. when contacting us about this property. Thanks. 5mins from villages with schools and amenities. 90 mins east of La Rochelle on the Atlantic coast. 20 minutes from a lake beach. 4 hour drive from Channel ports. Situated in a peaceful rural area with countryside views, in an oasis of calm, with country lanes around perfect to walking, cycling or horse riding. Just 5km from a vibrant village with SCHOOLS and AMENITIES including large convenience store, butchers, bakers, post office, gift shop, hairdresser, pharmacy, doctors, garage bar/restaurant. 7 mins from a 27 hole GOLF course. with YEAR ROUND INCOME, HIGH DEMAND and EXCELLENT TURNOVER. 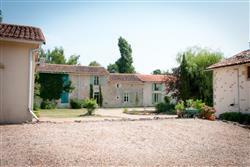 MAIN HOUSE + 3 GITES, MANY OUTBUILDINGS, GAMES ROOM, kiddies' PLAY ROOM. Plus FACILITIES for 1-2 HORSES. Set in 3 ACRES of LAND. 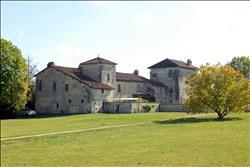 BUSINESS - the gites are in high demand every month of the year for a constant income if required. Or just take advantage of the healthy Summer trade and take 8 months of the year off! Summer months are full with holiday makers and other months are in demand from families visiting FUTUROSCOPE. They choose to stay at this property because of superb facilities that make it STAND OUT FROM THE CROWD. 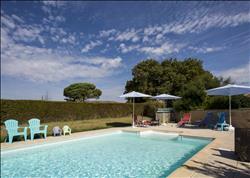 All the gites are FULLY EQUIPPED with everything that a holidaymaker could need and more. Work as much or as little as you prefer. Plenty of time off as you wish. You choose. How many businesses do that for you? RENTAL INCOME - further details on request. Makes an excellent rental return on investment. Bergerac airport 1hr 30 mins. Toulouse airport 1hr 40mins. Limoges airport 2hrs 30mins. Bordeaux airport 3hrs 30 mins. all set in 11ha 27a 53ca (about 28 acres). Complete privacy, in a magnificent rural setting, yet only about 2 kms from a small village. Well renovated 4-5 bedroomed stone house with Pigeonnier, featuring exposed stone walls, original old beams and fireplaces, electric heating and a WINE CELLAR. Rental income - an established gite business with on going rental income track record. Further details on request. Move straight in and start living the dream! with rental income stream already in place.